Although there are a number of formulas and facts given on the SAT, there are many more that you will need to know in order to answer problems. 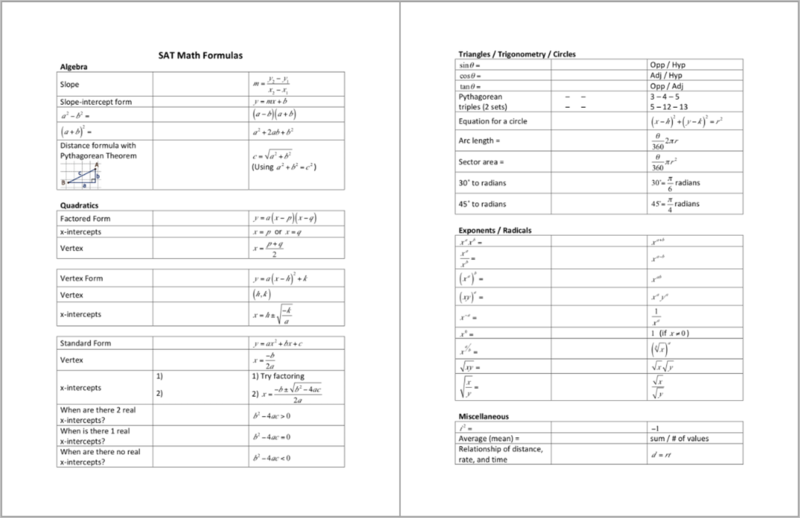 This worksheet has compiled the other formulas you should know for the SAT Math Section. For more detailed explanations on concepts for the SAT math section, take a look at our SAT math notes. Cover the right side of the worksheet to hide the answers and practice all the formulas so that you can master them for the test. ​​Being able to fill out both pages accurately in 3 minutes would help you make sure you will be able to quickly recall the information during the test.